As Take That limbered up to return with the follow-up to III, we sat down with the pop legends for a quick chat. 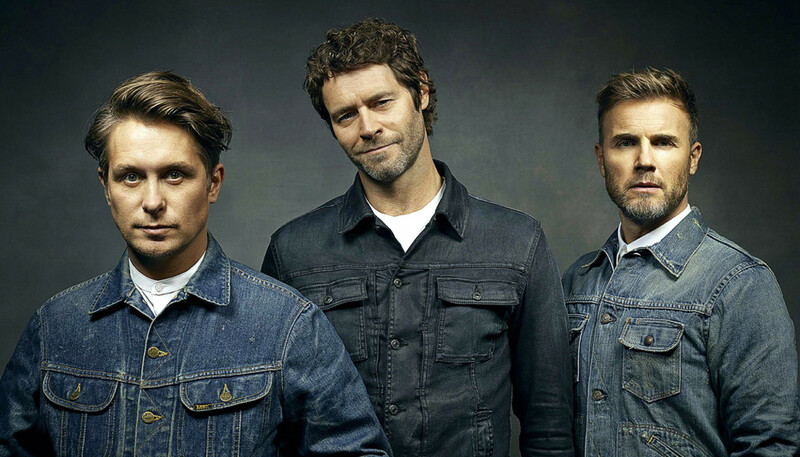 Here’s what Gary Barlow, Mark Owen and Howard Donald had to say about their eighth studio album, Wonderland, their forthcoming arena tour and fandom in the 21st century. So there’s been a great reaction to the lead single, ‘Giants’. Mark Owen: Yeah, people seem to be liking it, which is great for us because we’ve had the song for a while. And when you’re sat with these songs, you want people to hear them so it’s nice that it’s out there now, doing its thing. 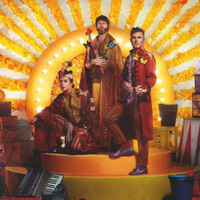 Gary Barlow: There’s a weird bit of time between you finishing your record and handing it in and then waiting for people to hear it; it seems to take forever, that few months. But it’s so lovely when you start getting people who like it, and just reactions from your audience. Because that’s why we’re here doing it. I don’t think it’s ever faded for us. In fact, these days it feels more important than it ever did for new music to be enjoyed. Why did you choose ‘Giants’ as the lead single? MO: I don’t think any of the other songs on the album had a choice; it fought its way forwards. We began writing the album about 18 months ago, and some of these songs come in early demo forms and sometimes it’s just a piano and voice, and then over the course of the 18 months they take shape. ‘Giants’ is one that kept banging on the door. It’s a brave song that decides to step out into the world first, so we appreciate it. It went out and said, “I wanna take on the world”, so we let it go. These days it feels more important than it ever did for new music to be enjoyed. Do you ever disagree about which song you want to be the lead single? GB: Yeah, the lead single’s a tough one. I think, like Mark said, it’s like a feeling: you get an excitement, and then you start playing it to a few key people, and then people at the label, and before you know it you realise that everyone agrees. But it’s usually quite obvious. For the benefit of anyone who hasn’t heard it yet, how would you describe ‘Giants’? MO: (Hums the tune) (Laughs) I think it’s always hard to describe your own records. Always people ask what it’s about and it’s always hard to explain what it’s about, I find. I keep thinking that next time someone asks me, I’m not going to answer that question because it’s not for me to say, but I’m gonna try to answer it anyway. Do you know what, just play it? ‘Giants’ was produced by Mark Ralph, amongst other tracks. What did he bring to the sound of Wonderland? GB: Well it was great to work with a northerner. We feel like we’ve made so many albums in L.A. that it was really nice to be here in the UK, in London, making a record. And he’s a good northern lad and he’s got one foot in the dance world and one foot in the pop world. We did ‘New Day’ with him first, which was one of the other songs on the record. We loved what he brought to that so we took ‘Giants’ in next, and we think he made a great job of it. In fact, the breakthrough with Mark was when we invited him to our Hyde Park gig. He’d never been to a show of ours so we thought, “This is a great way of learning about what we mean to our audience and what the audience means to us.” So after that he was like, “It’s all clear now – I know what to do.” And I think he did. Because he’s given it that gig sound. Obviously you have some very, very dedicated fans. What’s been your weirdest fan interaction? MO: Something came into my head the other day and I thought to myself, next time I have an interview I’m going to mention that story because it’s quite funny. And I’ve completely forgotten what it was. GB: I feel like we’ve been asked this in the past and I’ve made up a few of the answers because I can never think of anything. Are there fans that you recognise? Howard Donald: There’s a lot of those, on Twitter especially, that tweet more than others. Or that are a little bit more filthy or disgusting than the others. But it’s just good fun, the filth. MO: Howard gets the dirty tweets. GB: The one thing I always love is that we can pretty much go out on stage, no matter what town we’re in, and the first few rows will be the same people. It’s like their holiday – they come on the road and they just have a great time, every night. It’s a brilliant experience for us, touring. It seems to have got better in the past few years. You’re looking forward to the upcoming tour, then? MO: Yes, very much so. There’s lots happening very fast at the moment. You finish one thing – like, now the single’s out, now we can go what’s next. And now we’ve got the final of the TV show that we’ve been working on [‘Let It Shine’] to try and find the band for the musical, and then the tour is the next thing. So every week there’s a new thing to get excited about. And the tour, yeah, it’s bubbling under there. I think it’s growing all the time – it’s something that we can think about in quiet moments when you’re not doing an interview, like, “What shall we do?” It’s slowly starting to develop and it’s nice the way it’s starting to materialise. MO: I love outdoor gigs when it’s nice weather, so anywhere outdoor for me is always a favourite. But this time we’re doing arenas. Arena-wise it’s always nice to go back to your hometown. We find the crowds are very loud up north and in Ireland, but it’s funny because each venue and each town it is a different experience.